Following a detailed examination, the diagnosis is discussed with the patient and a course of action is formulated. Treatment could target joint stiffness/hypermobility, muscle tightness/weakness/imbalance, neural tension, soft tissue inflammation or more frequently a combination. Starting strengthening exercises before releasing joint or muscle stiffness may not be the best course of action, therefore depending on the severity and duration of the problem a treatment plan is set, which could be later modified depending on the patient’s response. – Joint mobilisation or manipulation is often useful to improve joint mobility and also restoring joint-to-muscle function. The stretching of adhesions and stiff joint would help in reducing pain, muscle spasm and restoring movement. The choice to use mobilisation (an oscillatory movement), osteopathic manipulation (specifically localised thrust with cavitation) or muscle energy technique depends on the severity and acuteness of the pathology and also patient’s previous experience and preference. 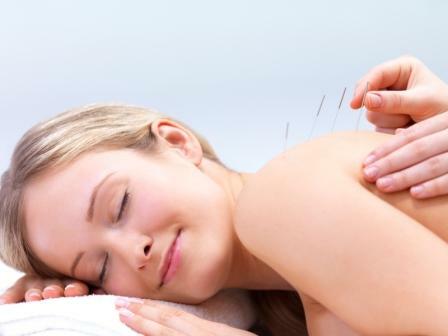 – Acupuncture can be very useful in treating pain and muscle trigger points. It has the benefit of reaching muscles that would otherwise be very difficult to have an effect on with other manual therapies. Most frequently this type of treatment is giving concomitantly with other modalities such as manual therapy and exercise. – Soft tissue techniques such as myofascial release and connective tissue manipulation are particularly useful to stretch and mobilise muscle and scar tissue. These techniques are particularly useful in preparing muscle tissue before mobilising or manipulating spinal or peripheral joints. – Rehabilitation and sports-specific exercise – restoring movement and strength but also re-educating muscle action and timing. Deep core and stabilising muscle groups such as those surrounding the shoulder blade have to act with the right amount of force at the right time to provide the necessary protection and stable platform for intended peripheral movements. Most frequently, injury interferes with both strength and timing therefore both must be addressed during rehabilitation. Omitting one or the other would lead to failure or only temporary resolution of symptoms with no long-term relief. In terms of sports-specific rehabilitation, patients have to regain confidence with movements performed during the preferred sport/activity. Once again, neglecting this part of rehabilitation may result in recurrence. The MLS impulse transfers energy into the cellular matrix helping with muscle relaxation, stimulates the intracellular activity and therefore speeding up recovery. The thermal effect stimulates biomechanical reaction and increased blood supply in the treated area. These results, together with the analgesic action of treatment are the basis or quick recovery. – Cryomag is a useful tool which applies compression, cold therapy and magnetotherapy helping with pain reduction, healing and swelling. This can be applied on post surgical joint and other sporting injures. The Magnetic field creates an increase in the peripheral blood flow, leading to better cellular oxygenation, producing anti-inflammation and anti-oedema action. – FootScan is a digital force plate indicating weight distribution during static stance and gait. Data from this test is usually matched with video motion analysis where a patient is asked to perform certain movements, walk and run on a treadmill while being videoed. This is particularly useful to identify faulty movements, weak muscle groups and footwear issues. These would be addressed during the rehabilitation and by giving advice on footwear and in some cases custom orthotics. In the case a patient requires custom orthotics, a foot print from the digital force plate and a foot mould in a foam box is sent to a specialised lab and orthotics are delivered within 2 weeks.